Our last Mummy Plus interview was with Ireland’s Karen Mullen – owner of Fine Fettle cakes. Karen manages to make cakes that are as appealing to the palate as they are to the eye despite having no sugar, wheat or dairy – some of them are even stuffed full of veg and they still taste amazing! That might have something to do with her being a Naturopathic Herbalist. Go, find out more and then come back for this week’s star! 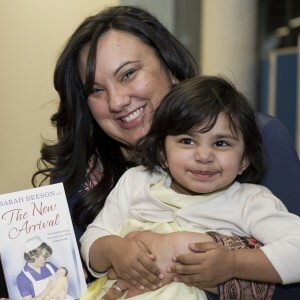 This week’s Mummy Plus is Amy Beeson, who has just recently released her first book, ‘The New Arrival,’ co-written with her mum, baby expert Sarah Beeson MBE, about Sarah’s experiences as a trainee nurse in 1970s London. 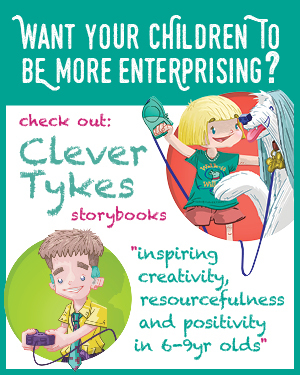 Amy and her mum are also working on two further books commissioned by HarperCollins. 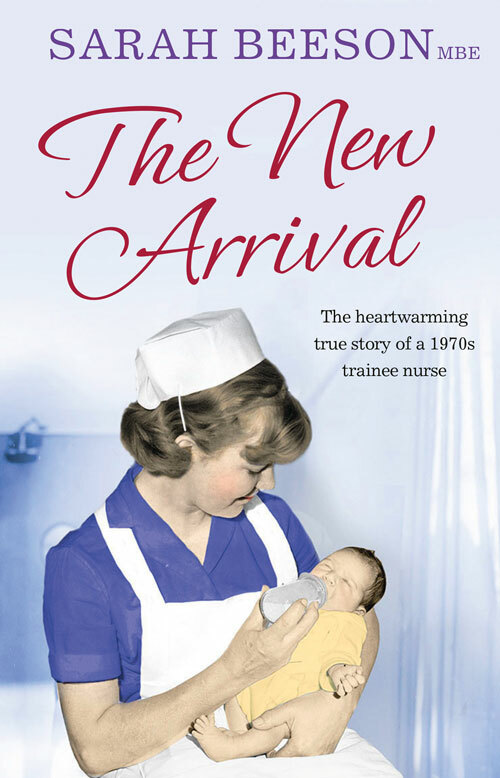 The first is Sarah’s memoir of her time health visiting in rural Kent in the 1970s ‘She’s Arrived!’ and will be published 19 February 2015. The second, which will be published in 2015, has the working title ‘Your New Arrival: Learning to trust yourself and enjoy your baby.’ When she’s not writing books with her mum, Amy runs Wordsby Communications, offering clients cost effective solutions to their communications problems. As well as all of this, Amy is of course also mum to two-year old Ava. So, you’ve just had a book published. What’s that like? It’s surreal. I’ve dreamed of being published for most of my life. Sometimes, you feel elated and other times a bit unsure of yourself as you don’t know what to expect and aren’t sure what’s “normal” bit like having a baby really. The New Arrival was written in about six months, in-between me freelancing on branding, marketing and copywriting jobs and taking care of Ava. Mum and I are rarely in the same location so we use email, Skype, text and are on the phone a lot. There’s a lot of back and forth between us to get the details right. Once the book was completed we had to wait nine months until it was in the shops. The best part is hearing from readers when they tell us they love the book. Sometimes that’s at book events but we get a lot of messages on Facebook and Twitter too. We’ve got a really lovely community of people on social media who are really engaged – they make the experience of being published special. What’s it like working so closely with your Mum? It’s the best job ever. We are very close and she’s an inspiring and incredibly warm person. I think we are very lucky that we can do this together – it’s much nicer to have someone to share the success and the worry with you. I also love finding out things about her life before I came along. It’s helped me see her more as a person and not just a mum, and to take her off the pedestal and see she’s not perfect and I don’t have to be either. She’s 17 at the beginning of The New Arrival and I think it’ll be wonderful for Ava to read about her grandmother when she’s a teenager too. When you’re not promoting your book, you run your own business, Wordsby Communications. How does running your own business compare to what you were doing before? It’s much more meaningful when you’re running your own business. You can really see the difference every hour you work has in a tangible way. You can be a good boss to yourself and arrange your working life so you succeed in what you are doing and don’t have all those bureaucratic barriers that often exist in an office. What are the biggest challenges you face now? It’s that balancing act all mums face. How do give my all to my business, be a good mum, partner, friend and daughter? But you know the person we always leave out – you! My business and my family depend on my well-being – I need to give myself a break more often and not spend so much time worrying. There will always be challenges but it’s important to enjoy the good times. My family motivates me more than anything. I want us to have more time together and to have a nice life. That’s what keeps me going when I’d rather take a nap. But I’m very lucky, I love what I do. Writing is as much as part of me as being a mum, if I don’t write – I don’t feel like me. I relish sitting down to a keyboard or notebook – I never know what I’ll write and that’s exciting. I mainly write when my daughter is asleep. So, the afternoon nap and bedtime are peak working hours for me. I can write wherever we are; often that’s at home but it’s also been in cafes and even at London Zoo. You’ve just got to get on with it wherever you can. If I’ve got a big job on though my mum, my husband Takbir and friends have all been roped in to cover. Not very often but I’ve definitely called in a few favours. I switch off in three places. 1) On the treadmill when Ava is in crèche a couple of mornings a week; 2) at the movies with my husband when Grandma’s in town and we get the night off; and 3) in bed. OK my brain doesn’t switch off but I leave my phone on charge in the kitchen deliberately. I would go to Italy and write a novel set in the Renaissance for a start. I would write, take more holidays and have more children. I’d also be more involved in politics and fundraising – that’s taken more of a backseat since I had a baby. If you had to describe your daughter in just three words, what would you say? Complete the sentence: ‘I’m a Mummy Plus…’ in no more than 40 words. A woman who’s trying to live her dream in the real world. The New Arrival Book is available to buy from a range of local bookshops. See Sarah’s website for all the links to current deals. If you are in the US, the book will be published on 2 September. To find out more about Amy’s business, start by reading her latest blog, ‘Is Mumpreneur a dirty word?’ which includes five top tips for anyone thinking of running their own business.